What if you could taste the great wines of Healdsburg without having to drive all day? Mark your calendar for Saturday, July 22nd for the annual Wine'd Up Festival in Downtown Healdsburg! Wine lovers can roam from tasting room to tasting room, sipping their favorite wines from Northern California. 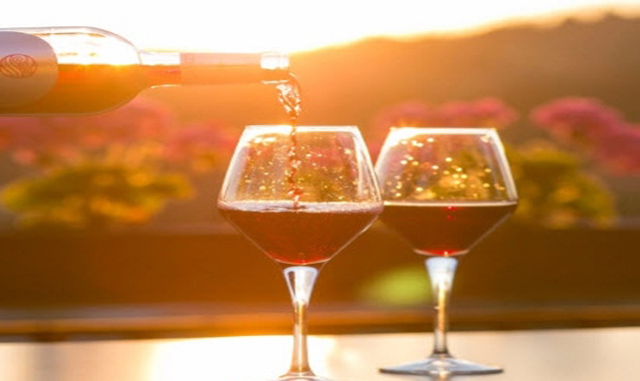 Whether you love Pinto Noir, Zinfandel, or Chardonnay, wine enthusiasts will enjoy this rare chance to visit multiple wineries in one afternoon. Downtown Healdsburg is home to dozens of tasting rooms where you can learn about the wine growing process and meet winemakers. Spend the day walking around this charming wine country destination as you sample the best vintages of Sonoma County. You can enjoy varietals from Dry Creek Valley, Russian River Valley, and Alexander Valley. Sponsored by Wine Walk Healdsburg, the event is an easy to explore a number of world-class wineries by using your two feet. Downtown Healdsburg is just five minutes from our boutique hotel! With elegant rooms, a Tuscan-style Piazza, and complimentary wine tasting, Best Western Dry Creek Inn is a wine lover's dream come true! Just sign up to be a Wine Club member at your favorite winery during the event. If you're not a member, this is a great way to find a vineyard you love and enjoy the privileges that membership offers. During Wine'd Up, local wineries extend their membership to other participating wineries. For more information on touring local wineries, you can talk to our concierge staff at our hotel. Our team knows the best places for wine tasting in Sonoma!